Do you want to know how to get to the dongdaemun station (DDP)? There are many ways you can get to dongdaemun station (DDP) such as public transportation (bus, subway / metro), taxi and Blacklink limo/transfer/shuttle service. Don't sweat outside waiting for other transportation with your luggage. Make a round trip reservation with Blacklink as you plan for your trip. It is easy, convenient and available 24/7. Then, the assigned Blacklink driver will greet you at the arrival and will drive you to the dongdaemun station (DDP). You can use Blacklink for not only hotel but also Gimpo Airport (GMP), Myeongdong, Jongno-gu, guesthouse, resort, airbnb, lodging and anywhere you want to go in Korea. Check out Blacklink customer review posted below. Heunginjimun, literally "Gate of Rising Benevolence" or more commonly known as Dongdaemun, is one of The Eight Gates of Seoul in the Fortress Wall of Seoul, a prominent landmark in central Seoul, South Korea. 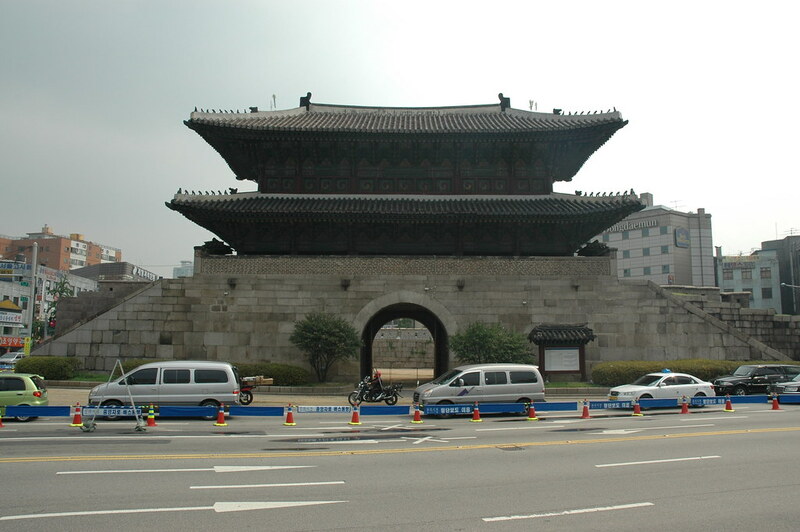 The Korean name "Dongdaemun" means "Great East Gate," and it was so named because it was the major eastern gate in the wall that surrounded Seoul during the Joseon Dynasty. The gate is located at Jongno 6-ga in Jongno-gu. Heunginjimun shows architectural style of the late Joseon period. The most unusual characteristic is its built outer wall, Ongseong. Ongseong was constructed to compensate the weakness of the target from multiple invaders. It protects the gate and is a beautiful addition. Today, in 2017, the area around Dongdaemun known as Dongdaemun Market has grown into the largest shopping center in South Korea, popular to both foreigners and natives. Construction of the Dongdaemun Design Plaza, a major urban development landmark designed by Zaha Hadid, started in 2009 to renovate what used to be Dongdaemun Stadium (an amateur baseball park) and was officially inaugurated on March 21, 2014. This landmark, also called the DDP, is the centerpiece of South Korea's fashion hub and popular tourist destination and has been one of the main reasons for Seoul's designation as World Design Capital in 2010.